This miniature screen required lots of work. 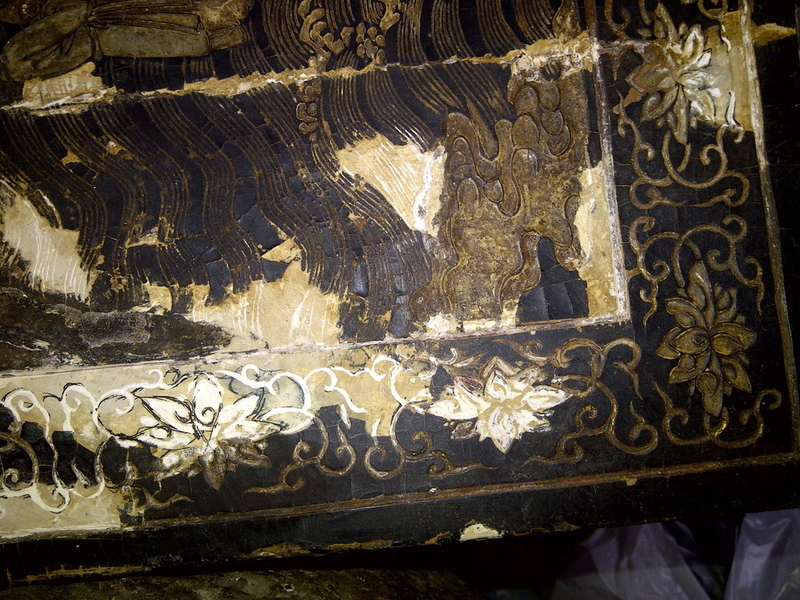 Several of the panels were split, and about 30% of the lacquer was missing. After picking off all the previous restoration, which was no longer stable, re-filling and re-carving was done. The screen was absolutely filthy, and given how fragile it was, took a long time to clean, but was worth the effort, to get to the original lacquer color.